The 829B Special : Based on a twin-beam - 829B, double-tetrode design, it will crank 18 single-ended watts per channel from two matched power tubes in a single power envelope. In short - there is two tubes packed in one bottle. Made for the big power SE fans, and this is our pick in transmitter tube - we made a few pairs of 829B Push Pull Mono-Blocks, but much prefer it in SE application (To us, it is as good or better to 211/845). 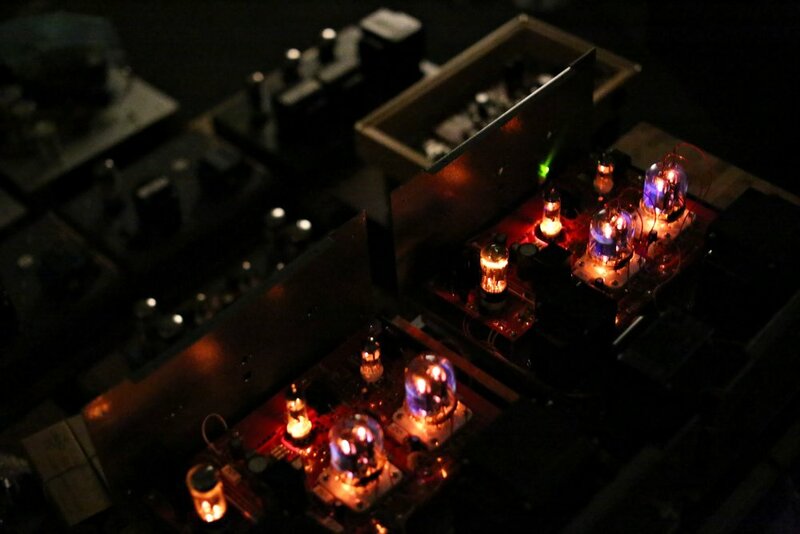 Unlike many higher output tubes, this 829B is efficient to drive like the world famous EL84/6BQ5, as well the newly Western Electric designed 7591. Its linearity is also better than most 8-pin output tubes such the commonly used 6L6/5881/KT66 family. Plus, did we mention we love this tube so much due to its availability (So much NOS around!) and affordability — for example, 211 and 845 tubes are plentiful and sound great, but on the higher end of the $ scale? The result is unlike other high quality big output SE amplifiers which might lack. Our 829B Special never lacks the finesse, the micro-details, the refinement, the transient speed, the absolute quietness (Read VERY QUIET even ultra high efficient speakers), transparency and liveliness into music. It is indeed high-end sound! Its the best of both world in terms of both power and single ended refinement! Level of difficulty - HIGHEST. But like how we makes 211/845 amps : we ensure this design is world class and as serious as we could do. Only the best components are used, no compromise in quality. The selection of transformers is crucial on such high voltage and HIGH-END application, we only use the finest grade metal to construct our transformers. On the output transformers, it is made by our sister company - Triode Lab. 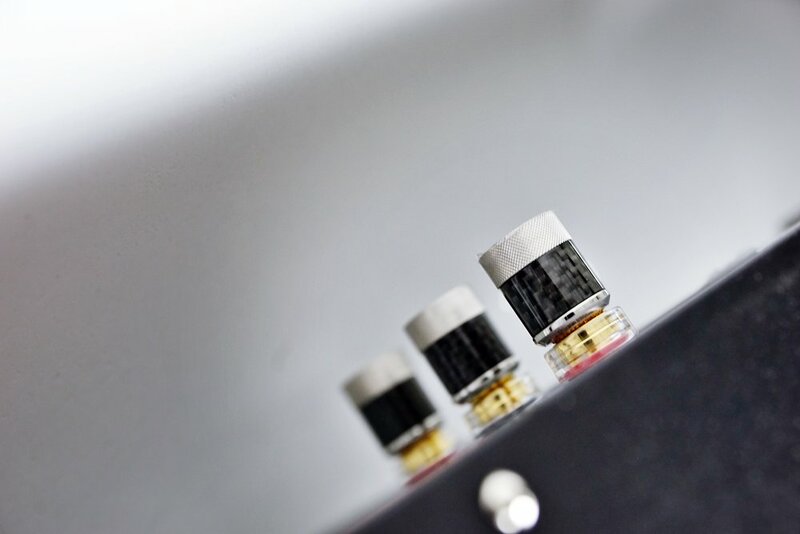 It is rated 30W in flagship quality, 2.7K Primary Impedance, that we only spare to do custom high-end tube amps for our loyal customer in Parallel SE applications around tubes like 300B / 45 / 50 ...etc, as well, 2A3 and most other 8 and 9 pins output tubes. The frequency response is brilliant, the highs are extended and precise and the bass measured solid sub 30 Hz (this is where the authority of music / the scale / the immerse of power comes in , this is why high-end output transformers are supposed to be expensive!) - the quality in both aural and measurements are up against other finest transformers around the world. The best or nothing! 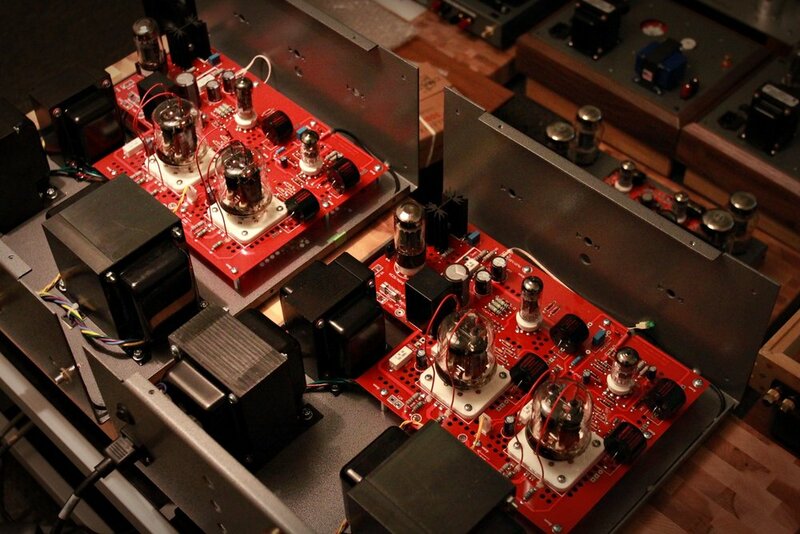 Ever wonder why other high-power SE amps or 300B amps you heard have rolled off trebles? It's the transformers! Think about it - there are not many tube amp manufacturers out there who can afford expensive output transformers (Made by brand name HiFi transformer companies), it is close to or over 4-digits USD at cost. Same to the proprietary power transformer, also custom-made by Triode Lab, hand-crafted in Canada, are made to safely handle the high power transmitter tubes. It's made with finest aerospace/military grade M6 irons. It's not just quiet, but also provides a cool temperature operation (Running Class A is HOT). 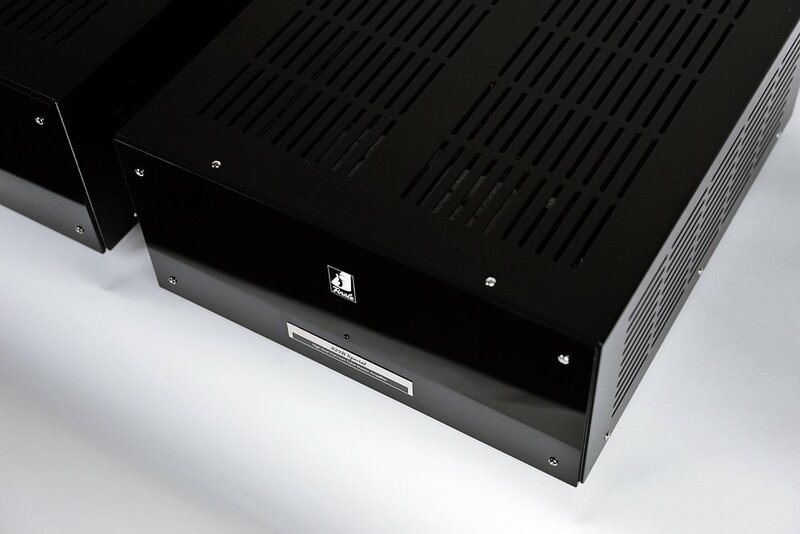 Along with a well over-sized proprietary made high-quality choke transformer, the amplifier easily exceed 50 lbs, housed in a large heavy duty enclosed chassis measure 17" wide and 19" deep. Autobias - Finale’s superb auto-bias circuit makes screwdriver adjustments a thing of the past! INCLUDING 3" Foam Vault / Triple Layer Cartoon Box / Optional Wood-crate Shipping Arrangement. 2016 New Finish Option - Silver-Gray Hammertone Finish on chassis - the large chassis is carefully constructed of thick gauge aluminum with all four sides folded for extra strength reinforcement. The top cover reamins in textured electronic black. Copper Chassis-package Optional $3,000 USD - The use of copper materials result in lower ground impedance and eddy currents, which gives you a lower noise floor and better S/N Ratio. It's not just better by ears, but, on a same design, we have measured better results! You'd be surprised to hear the difference it makes with all these mechanical changes. All couplings are also upgraded to Mundorf Silver in Oil. Solid aluminum footers polished in chrome handmade in Canada are included as well. Galliard M Mono Blocks DEBUT 2017 at GREECE- with lots of success and many said to be the best room! 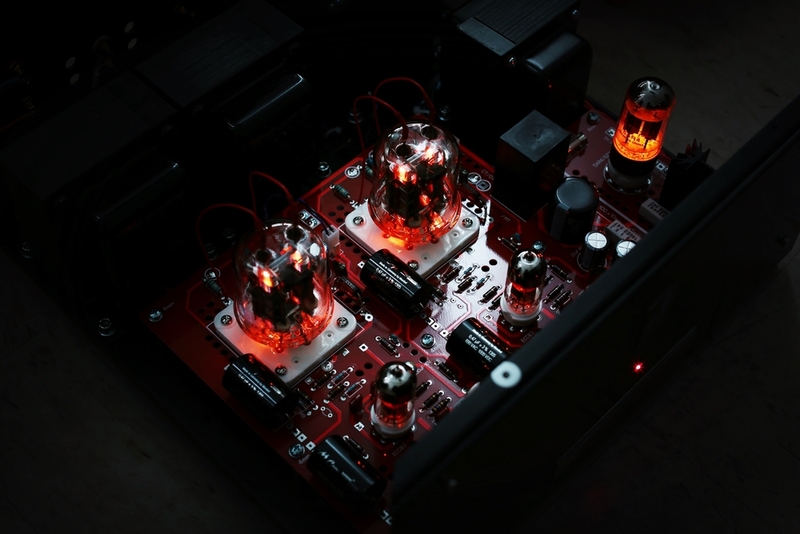 Output Transformers : Triode Lab Flagship Single Ended 60W Core Type, it is engineered highly with our proprietary design and calculations for this 829B mono applications with aerospace quality M6 expensive metal materials. It measured FLAT 20 hz - 20 khz! Thats the prerequisite to unleash the power of the finest S.E. 30W. Copper Chassis-package Optional $5,000 USD - The use of copper materials result in lower ground impedance and eddy currents, which gives you a lower noise floor and better S/N Ratio. It's not just better by ears, but, on a same design, we have measured better results! You'd be surprised to hear the difference it makes with all these mechanical changes. All couplings are also upgraded to Mundorf Silver in Oil. Solid aluminum footers polished in chrome handmade in Canada are included as well.